Etching is a chemical reaction generated by an acidic substance (wine, vinegar, coffee…) in direct contact with certain stone types such as marble, limestone, travertine or onyx. 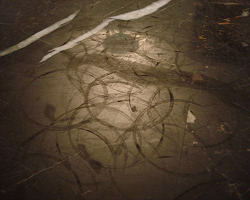 The consequences are permanent “glass rings”, marks and spots on your countertop. This doesn’t mean these stones are not suitable for kitchen countertops or other areas with lots of traffic or constant exposure to acids. They do however, require more attention and immediate cleaning in case of an acid spill to prevent etching from occurring. In case of slight etching, you can buy an etch remover that will most likely repair your countertop. Worst case scenario, there are stone professionals who have the tools and the expertise to easily fix the marks caused by etching and make your countertop look brand new. Different stone types have different molecular structures, some are harder and more resistant to scratches and others are softer and more likely to be scratched by a harder material. Quartz, quartzite, and granite are hard stones ideal for the kitchen and other areas with high traffic. 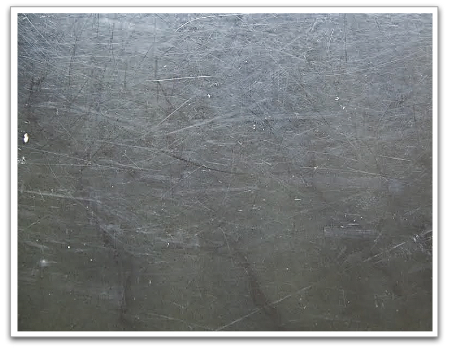 They are not scratched by steel, allowing you to safely cut food on them and removing all risk of scratching. Softer stones such as marble, limestone or travertine, are easier to scratch and are therefore ideal for less used areas. As we mentioned before, this doesn’t mean you shouldn’t choose marble for your kitchen countertop, but rather that you should be aware of the risk of scratching it with knifes and other cutting objects so you can take the necessary precautions. Once again, the molecular structure of each stone defines it’s resistance to breakage. More resistant stones like granite, quartz and quartzite are harder to break. You can carelessly perform your everyday tasks and routines on them without running the risk of breaking them. Less resistant stones like marble, travertine, sandstone or limestone require more care and could be chipped by using a knife to cut on the edge. These stones are not delicate or easily breakable; they are still very resistant. Chips and cracks are harder to repair than scratches but can also be fixed by skilled stone professionals. Stains occur when a colored fluid penetrates the stone through its pores and changes the color of the surface on the affected area. Almost all natural stones are porous and are therefore subject to this risk. 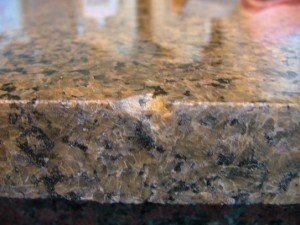 Sealing your countertop does not guarantee that it will not stain but it will make it more resistant to stains. Sealing a countertop is simply applying layer of a liquid substance that fills the stone’s pores so that it is not as prone to absorbing liquid substances. Some of the hardest stones like certain quartzites and granites don’t need to be sealed, especially if they have been treated with resin when they were processed at the factory. However, most stones need to be sealed at least once before being installed and some need to be sealed periodically. To learn if the stone of your choice falls under the latter category, ask your stone professional. In any case, these sealers are easy to find and they are very affordable. 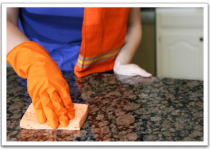 You don’t need anything special to clean stone; you can clean your granite countertops with soap and water. However, beware of using acidic products such as windex or ammonia, especially if your countertops are made of a softer stone, because they can cause etching. There are stone specific products you can use that will make your counter glow and look better. Some of those products contain sealer to fill the pores of the stone.